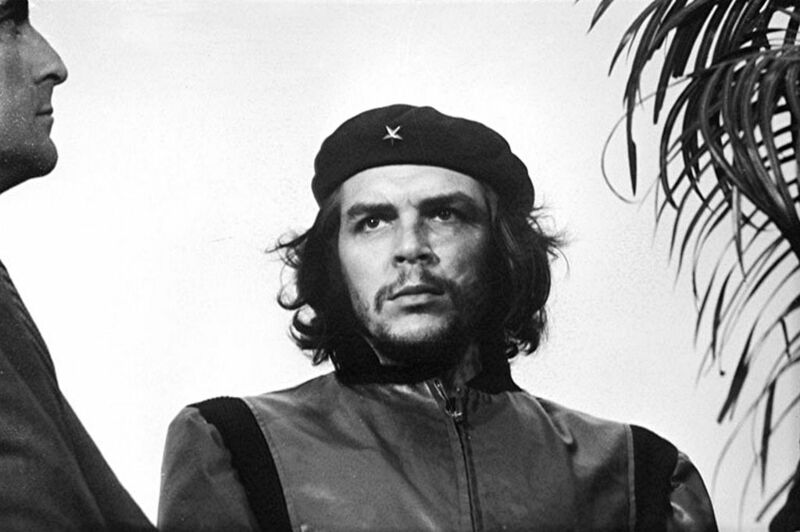 October 9th marks the fiftieth anniversary of the death of Ernesto ‘Che’ Guevara. Among the documental gems housed in the Lyndon Baines Johnson Presidential Library is Guevara’s last interview. It occurred on the very morning of his execution. A Cuban-American agent of the Central Intelligence Agency, Félix Rodríguez, conducted the interview. Rodríguez composed a memorandum of his talk with the revolutionary and sent it from Bolivia to CIA headquarters at Langley, which forwarded it to the White House. The CIA agent even convinced Guevara to pose for his last live photograph. For years, the Central Intelligence Agency had been tracking the activities of the Argentinean-born revolutionary who served as Fidel Castro’s guerrilla lieutenant, economic czar, and international agent provocateur. In the spring of 1964, CIA lost the scent. They speculated that Che Guevara was dead. The White House did not learn that he might still be alive until April 1967, when Bolivia’s president, René Barrientos, wrote directly to President Johnson requesting urgent military assistance. Barrientos was facing a guerrilla uprising by both Cubans and Bolivians led by the legendary El Che. Why Bolivia? Guevara had grown weary of his leadership role in socializing Cuba’s economy and having to explain why production had declined drastically. At the same time, his diplomatic role involved justifying Cuba’s deviation from the doctrines of its chief benefactors in Moscow. Fidel and Che aided revolutionary insurgencies abroad at a time that Soviet leaders carried on policies of “peaceful coexistence” with the West. Ideologically, Guevara had more in common with Chairman Mao Zedong than Leonid Brezhnev. Yet on his final trip to Beijing, Mao refused to meet with Che. Other Chinese officials accused him of “revisionism” for accepting aid from the Soviets. Guevara decided to retire from politics and economics and devote himself to what he knew best – guerrilla warfare. Che Guevara had always fancied himself as Latin America’s chief guerrilla strategist. He suggested that the lessons of the Cuban Revolution could be replayed elsewhere in Latin America. Guerrilla movements were still active in Central American and in Colombia and Venezuela. His idea was to spread thin the forces of imperialism, to “create two, three Vietnams,” as Guevara wrote in his famous message to the Tricontinental Conference. Che, then 38 years old, wanted to ignite the revolution in Southern South America while he still had the stamina he had under Fidel’s orders nine years earlier. 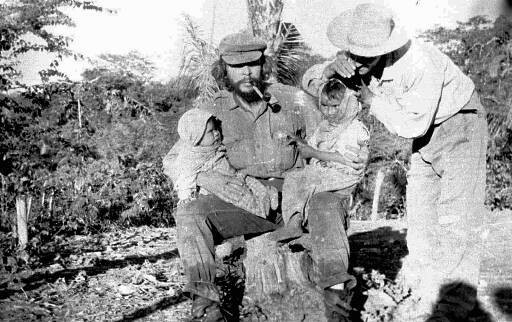 In the eastern foothills of Bolivia, Che assembled a fighting force of about fifty men, divided between thirty Bolivians and the rest Cubans and other foreigners. Remarkably, neither the CIA nor Latin American customs officials had picked up any indication of the movement of men and arms into the heart of South America. Guevara had planned that Paraguayans, Peruvians, and Brazilians would join his group and gain sufficient skills to begin guerrilla uprisings in their own countries. Eventually, Che wanted to return to his native Argentina with a band of his own paisanos. It was not to be. The White House responded to President Barrientos by dispatching two Cuban-American CIA agents and seventeen Green Berets from the Panama Canal Zone. The Green Berets were to train a battalion of Bolivian guerrilla-hunting rangers. The intelligence agents offered to supervise Bolivian units in the field. Agent Félix Rodríguez was assigned to the Bolivian Army at the rank of a captain. Guevara’s surrender allowed several of his men to retreat, though the rangers caught up and killed many of them. On the morning of the next day, Agent Félix Rodríguez flew to the small hamlet in eastern Bolivia where the wounded Che was held prisoner. The CIA agent pleaded with the commanders to permit him to take Guevara to the Panama Canal Zone for interrogation, but they informed him that President Barrientos had already announced that Che had died in battle the day before. Rodríguez went to talk to Che Guevara. “Nobody interrogates me!” said Che, although he did consent to have a conversation with the CIA officer. Rodríguez untied the captive and invited him outside into the bright sunlight for a photo. The agent and the prisoner returned inside for a chat. Further details have now been obtained from [less than 1 line of source text not declassified] who was on the scene in the small village of Higueras where Ernesto “Che” Guevara was taken after his capture on 8 October 1967 by the Bolivian Army’s 2nd Ranger Battalion. [less than 1 line of source text not declassified] attempted to interrogate Guevara on 9 October 1967 as soon as he got access to him at around 7 a.m. At that time “Che” Guevara was sitting on the floor in the corner of a small, dark schoolroom in Higueras [sic]. He had his hands over his face. His wrists and feet were tied. In front of him on the floor lay the corpses of two Cuban guerrillas. Guevara had a flesh wound in his leg, which was bandaged. Cuban economic situation: Hunger in Cuba is the result of pressure by United States imperialism. Now Cuba has become self-sufficient in meat production and has almost reached the point where it will begin to export meat. Cuba is the only economically self-sufficient country in the Socialist world. Camilo Cienfuegos: For many years the story has circulated that Fidel Castro Ruz had Cienfuegos, one of his foremost deputies, killed because his personal popularity presented a danger to Castro. Actually the death of Cienfuegos was an accident. Cienfuegos has been in Oriente Province when he received a call to attend a general staff meeting in Havana. He left by plane and the theory was that the plane became lost in low-ceiling flying conditions, consumed all of its fuel, and crashed in the ocean, and no trace of him was ever found. Castro had loved Cienfuegos more than any of his lieutenants. Fidel Castro Ruz: Castro had not been a Communist prior to the success of the Cuban Revolution. Castro’s own statements on the subject are correct. The Congo: American imperialism had not been the reason for his failure there but, rather, the Belgian mercenaries. He denied ever having several thousand troops in the Congo, as sometimes reported, but admitted having had “quite a few”. Future of the Guerrilla Movement in Bolivia: With his capture, the guerrilla movement had suffered an overwhelming setback in Bolivia, but he predicted a resurgence in the future. He insisted that his ideals would win in the end even though he was disappointed at the lack of response from the Bolivian campesinos. The guerrilla movement had failed partially because of Bolivian Government propaganda which claimed that the guerrillas represented a foreign invasion of Bolivian soil. In spite of the lack of popular response from the Bolivian campesinos, he had not planned an exfiltration route from Bolivia in case of failure. He had definitely decided to either fall or win in this effort. At no time during the period he was under [less than 1 line of source text not declassified] observation did Guevara lose his composure. Source: Johnson Library, National Security File, Country File, Bolivia, Vol. IV, Memoranda, January 1966-December 1968. Secret. Copies of this memorandum in CIA files indicate that it was drafted by Broe and [name not declassified] in the Western Hemisphere Division and approved by Karamessines. (Central Intelligence Agency, DDO/IMS, Operational Group, Job 78-06423A, U.S. Government-President).